There is an inherent discomfort with selling among most technical professionals. It's not hard to understand why: They've been on the other side of the sales transaction. Ask them what they think about salespeople (as I have on numerous occasions) and the responses you get are overwhelmingly negative. Reluctance to sell. Many A/E firms struggle to get their seller-doers out of the office and meeting with clients. The excuse "I've been too busy" is often a cover-up for the real sentiment: They just don't like imposing on clients since they know what it's like to be in the buyer's role. Tendency to behave like a salesperson. The interesting contradiction is that technical professionals often resort to the very same tactics that they dislike about salespeople. Why? That's the only model they have to go by. There's a better way and it's not all that complicated. Simply follow the Golden Rule: Treat others like you'd like to be treated. It works! You don't have to succumb to traditional selling to be effective in bringing in new business. In fact, it works against you. Show prospective clients that you genuinely care about them, help them address their needs and concerns, and watch the sales follow. Never waste the client's time. The client's time is his or her most precious asset, so treat it with respect. Always bring something of value in exchange for that time, usually in the form of information, insight, or advice related to specific needs or problems. Focus on client needs, concerns, and interests. Most sales calls are motivated by the seller's self-interest. Don't think clients don't notice. You can set yourself apart by focusing on the client, not you or your firm. Treat the meeting like a consulting session rather than a sales call. Listen empathetically. Salespeople are notorious for being big talkers and not good listeners. You will do well to steer clear of the stereotype. Listen not only for information, but to try to see things from the client's perspective. That enables you to provide better answers and solutions, and generally be more responsive. Maintain consistent contact. When you show up only when it's convenient or it benefits your firm (e.g., the RFP is coming out soon), clients take notice. In one survey, this was a common complaint by clients. If you really care about the client, you'll maintain consistent communication, even when the work isn't imminent. Be a diligent problem solver. This point is similar to the previous one, but shifts the setting from the client's office to yours. Clients sense you care when you regularly forward information and advice relevant to their most pressing needs. It sends the message, "I've been thinking about you." Always deliver what you promise. 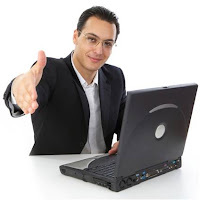 Any client request or any offer you make to do something for the client represents an informal contract. Your failure to deliver serves as a preview of what the client can expect after the sale. So be sure not to disappoint even in the smallest regard. Wondering what step to take next in building the relationship with a prospective client? There's no substitute for knowing what the client would like. But lacking that, you probably won't go far wrong if you simply follow the Golden Rule. "How would I like to be treated?" The answer won't lead you to follow the path of the traditional salesperson. And for that reason, it will likely give you the edge.